Google announced it's adopting lazy-loading to make websites load faster in its Chrome browser. 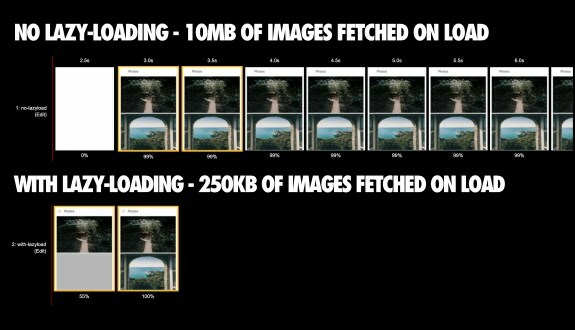 This technique speeds up page load times, cuts bandwidth usage, and reduces memory usage by only loading images and iframes that are above the fold. A new loading attribute for the img and iframe tags is being worked on as part of the HTML standard.